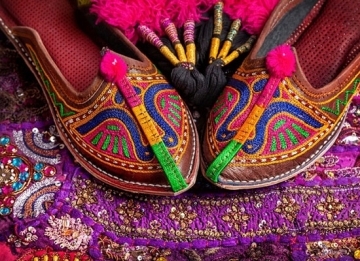 Rajasthan is home to a colorful culture and amazing forts. 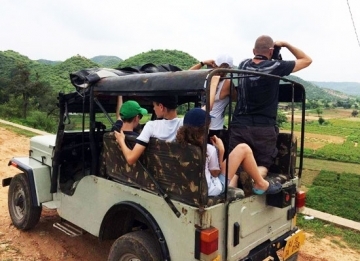 The 7 Days and 6 Nights long Enjoyable Rajasthan Tour Package will take you to some of the iconic cities and the only hill station in the royal state. Tastefully crafted itinerary helps you explore Jaipur – the ‘Pink City’, Pushkar – a sacred town, Jodhpur – the ‘Blue City’, Mount Abu – Rajasthan’s only hill station and Udaipur – ‘City of Lakes’. From history to royalty and divinity, your holiday experience couldn’t get better. The ornate carvings, quiet lakes and holy temples are waiting for your presence, so go ahead and pack your bags. Upon arrival at the Jaipur Airport/ Railway Station, meet our tour representative who will help you with guided transfer to the hotel. Check-in and relax for a while. The evening is reserved for visiting the Birla Mandir. 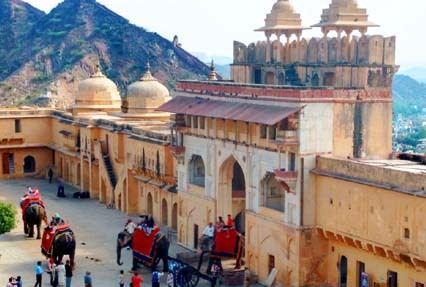 Jaipur – Titled as the ‘Pink City’, Jaipur is dotted with many top-tourist places to visit. Rising majestically against the backdrop of many forts, the city presents marvelous spectacle to behold. Birla Mandir – Dedicated to Lord Vishnu and his consort Goddess Lakshmi, Birla Mandir is known for its architecture made up of marble. Overnight stay in planned in Jaipur. Start the day with a trip to Amer Fort. From there, you will be taken to the Jaigarh Fort. Click some amazing photographs here. Rest of the day is at your leisure. 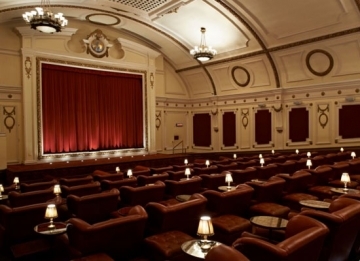 Explore other attractions of the city. 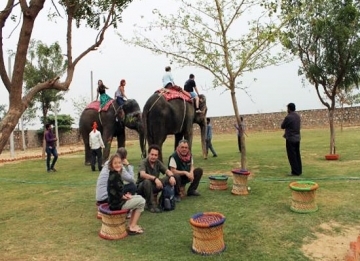 Elephant and camel rides are the attractions of the Jaipur tour and can be arranged at an additional cost. You can also think about shopping in the city. Amer Fort – Inscribed as a UNESCO World Heritage Site, Amer Fort portrays a perfect fusion of the Hindu and Mughal styles. Built with marble and red sandstone, the fort is an exceptional masterpiece. 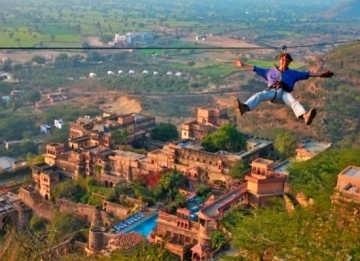 Jaigarh Fort – Perched on a hill, the Jaigarh Fort beguiles with breathtaking views of the city. Also known as the Victory Fort, the fort was built to protect the city from attacks. City Palace – Once the seat of the erstwhile kings, City Palace features courtyards, buildings and gardens. The adorned gateways are the center of attraction. Jantar Mantar – A marvelous collection of the 19 architectural monuments, the Jantar Mantar in Jaipur houses the world’s largest stone sundial. 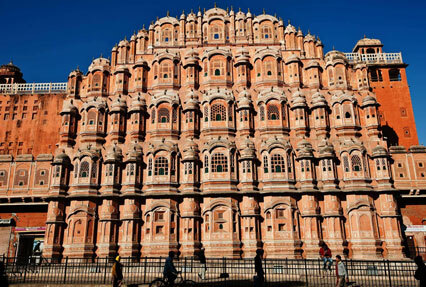 Hawa Mahal – Fondly known as the ‘Palace of Winds’, Hawa Mahal is an iconic monument of the city. The palace was meticulously designed for the royal women to gaze at the outside view without being noticed. 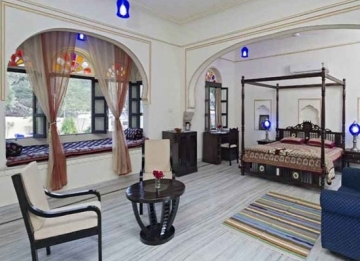 Enjoy an overnight stay at the hotel in Jaipur. 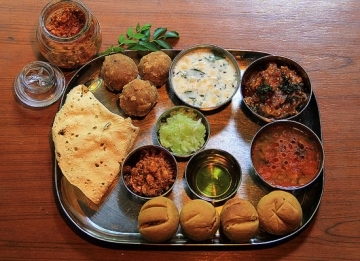 Savor a hearty breakfast and the hit the road to the Pushkar. 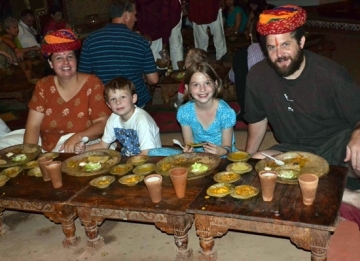 After reaching your pre-decided hotel in Pushkar, complete the check-in formalities. Post lunch, get ready to visit Ajmer, a popular city nearby. 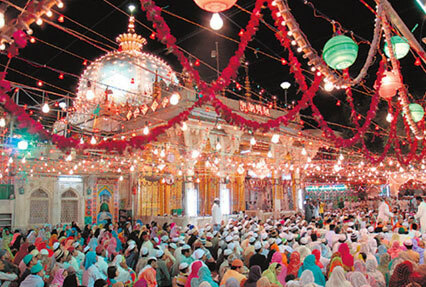 The Ajmer city tour starts with paying homage at the holy Dargah of Moinuddin Chisti. Subsequently, visit the Adhai Din ka Jhonpra. Head towards the scenic Ana Sagar Lake. Spend some time at the Daulat Bagh Gardens. This followed by a trip to the very famous Brahma Temple in Pushkar. Call it a day at the Pushkar Lake. Dargah of Moinuddin Chisti – Alternatively, famed as the Ajmer Sharif Dargah, the holy place has a grave of the revered saint, Moinuddin Chisti. The Sufi shrine is a popular pilgrimage and lures lots of devotees. Adhai Din Ka Jhonpra – Once a Sanskrit College, the edifice was converted into a mosque by adding a seven-arched wall consisting of Islamic calligraphy in front of the pillared hall. There are many interesting legends behind its name. 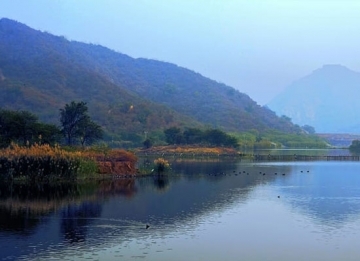 Ana Sagar Lake – A breathtaking artificial lake offering the best sunset views. The beautiful lake is an ideal spot to enjoy time with friends and family alike. Brahma Temple – The sacred shrine is amongst one of few temples of Lord Brahma in this world. 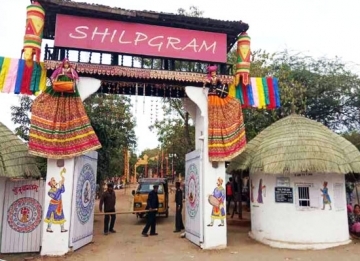 Dedicated to Lord Brahma, the temple lures many devotees throughout the year. 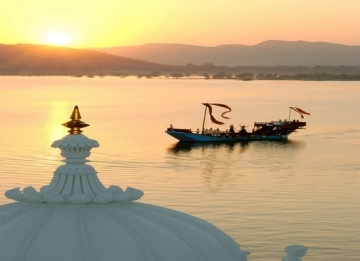 Pushkar Lake – Pushkar Lake is a sacred lake of the Hindus and is surrounded by 500 temples and 52 ghats. Taking a holy dip in the lake clears all the sins and cures skin diseases. An overnight stay is scheduled at the hotel. After having your breakfast, head towards Jodhpur, a captivating city with titles like ‘Sun City’ and the ‘Blue City’. Thereafter, explore the famous Mehrangarh Fort. 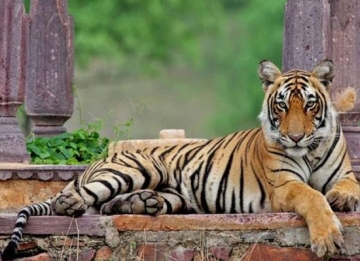 Later on, enjoy at the Mandore Gardens. Jodhpur – Considered as the ‘Gateway to Thar’, Jodhpur is the second largest city in Rajasthan. 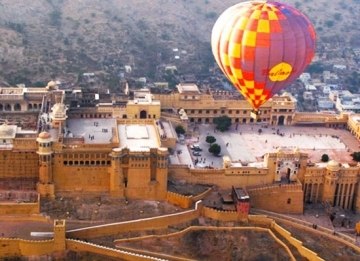 Mehrangarh Fort – Rising above the city of Jodhpur, Mehrangarh Fort is truly stunning. Jodhpur boasts of this architectural wonder very well. A Museum in the fort is worth exploring. 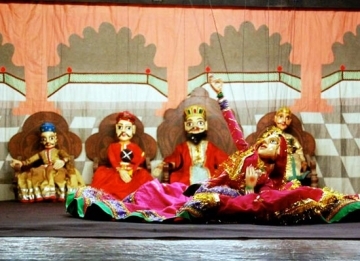 Mandore Gardens – Mandore Gardens tell thousands of tales of the bygone era. The gardens consist of memorials, ancient temples and high-rock terraces. 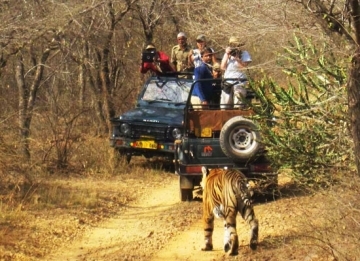 On day 5 of the Enjoyable Rajasthan tour, you proceed towards the Mount Abu. 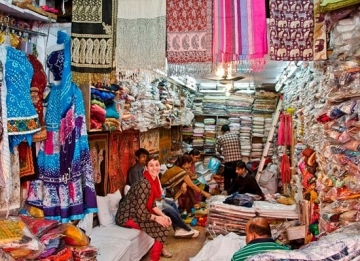 On reaching, you will be exploring the only hill station and summer retreat of Rajasthan. The first attraction of the trip will be the Dilwara Temples. From there onwards you will be enjoying a boat ride on the Nakki Lake. Dilwara Temples – Dilwara Temples are regarded as the most beautiful Jain Temples. With a rich history dating back to the 11th – 13th centuries AD, the finest temples are dedicated to the founder of Jainism. 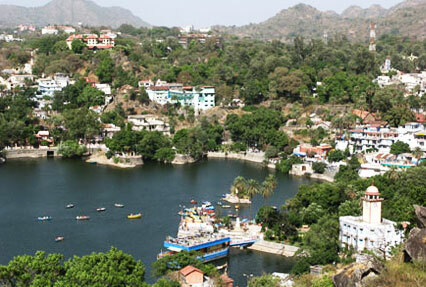 Nakki Lake – A paradise for nature lovers, Nakki Lake is the first man-made lake in India. The captivating lake is bounded by natural wonders including mountains, greenery and distinctively shaped rocks. Check-out from the hotel after having your breakfast. Start the journey towards Udaipur. 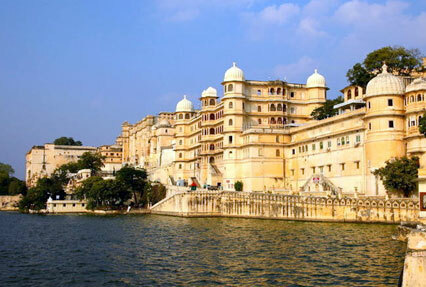 After arriving in Udaipur, complete the check-in formalities at the hotel. Post this, get ready for a half-day city tour. Marvel at the City Palace, Saheliyon Ki Bari and Jagdish Temple. 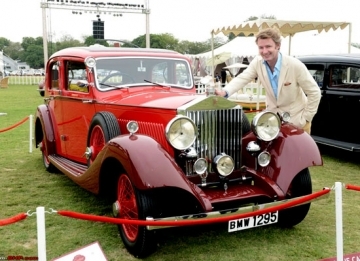 You can also partake in evening Motor Launch cruise on the calm water of Lake Pichola by paying some extra cost. City Palace – Admire the splendor of the Mewar rulers that they rejoiced during the bygone era by gazing at the City Palace. A number of monuments form an essential part of the complex of City Palace. Saheliyon Ki Bari – Translating into the gardens of the maids, Saheliyon ki Bari is a sprawling garden with a museum, fountain and marble elephants. The splendid architecture makes this garden, one of the popular tourist destination in Udaipur. 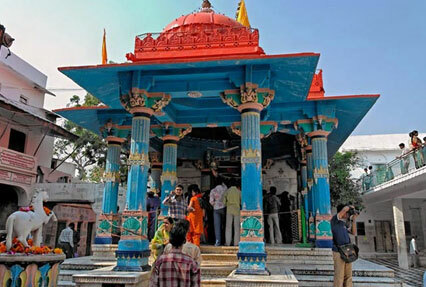 Jagdish Temple – The massive Jagdish Temple stands in the middle of Udaipur. Built-in Indo Aryan style, the temple is an architectural marvel. On the last day of the tour, bid farewell to the Udaipur post breakfast. The tour ends with memories to cherish forever. Move towards Udaipur Railway Station or Airport to catch your train/flight towards your onward destination.